Skateboarders have to put up with costly tickets on a regular basis. 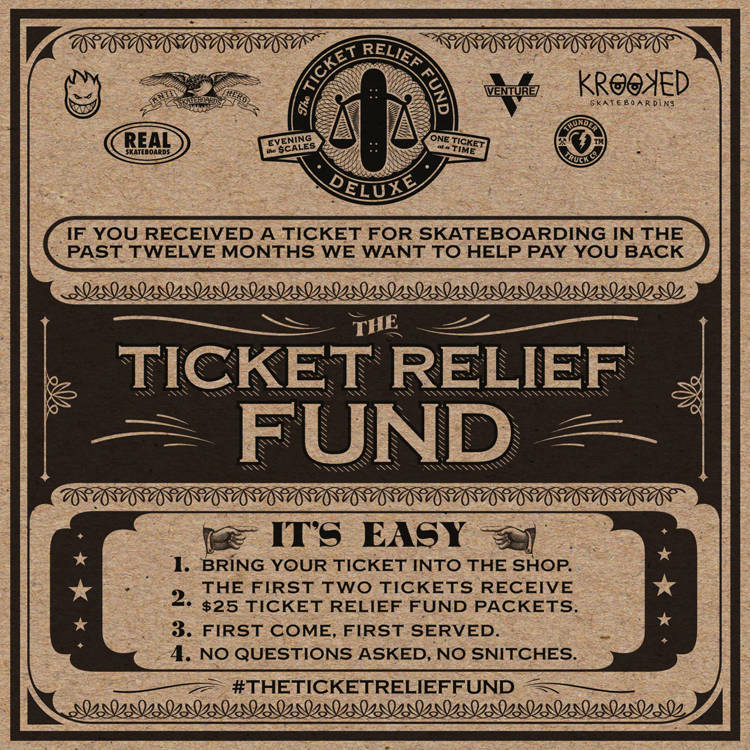 The Ticket Relief Fund is a REAL, Antihero, Krooked, Spitfire, Thunder and Venture effort with local shops to help pay skateboarders back for any ticket they received for skateboarding in the last 12 months, from 2/8/15 – 2/8/16. The first 160 shops to join up to be a part of the ticket relief fund will receive 2 ticket relief packets with $25 cash each. Sent out in weekly deliveries of 40 shops per week. Week 1 delivery is in shops now. Participating Shop listings here. 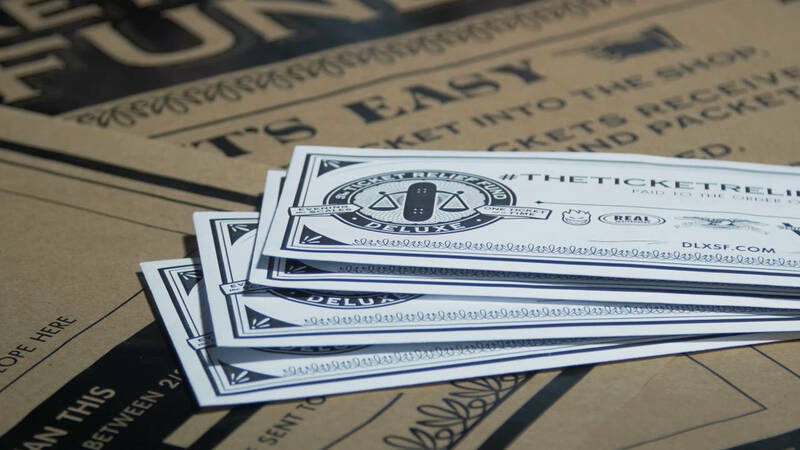 The Berrics extends our gratitude for your tremendous efforts to help skateboarders in need!